Pressed powder cheek color available in a gorgeous selection of colors ranging from natural to dramatic, with choices for all skin tones. 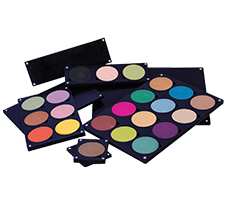 We offer a choice of matte, semi-pearl and pearl formulations. All apply smoothly and blend easily. The collection is complete with highlighter and contour shades. For the most professional look, blend color well. 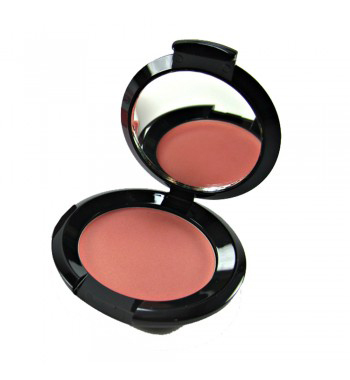 No line of demarcation should be visible between contour, blush and highlighter shades. Matte, semi-pearl & pearl formulations. Large selection of natural & dramatic colors. Talc, Mica, Caprylic/Capric Triglyceride, Dimethicone Copolyol, Methicone, Zinc Stearate, Octyl Stearate, Nylon-12, Silica, Stearoxy Dimethicone, Methylparaben, Propylparaben, Triclosan. May Contain: Red Iron Oxide,Yellow Iron Oxide, Black Iron Oxide, Titanium Dioxide, D&C Red #7, D&C Red #22, D&C Red #30, D&C Red #34, FD&C Yellow #5, FD&C Red #28, FD&C Red #33, FD&C Yellow #6, FD&C Blue #1, Carmine, Bismuth Oxychloride.